← Cape on too tight? Following my post yesterday, and how I know if I need a rest, from blurry vision, to lack of sleep, to soreness, (or even illness) there are a long list of things my body does to tell me I need rest. But I also use a little gadget and app to tell me how much rest I’m getting. 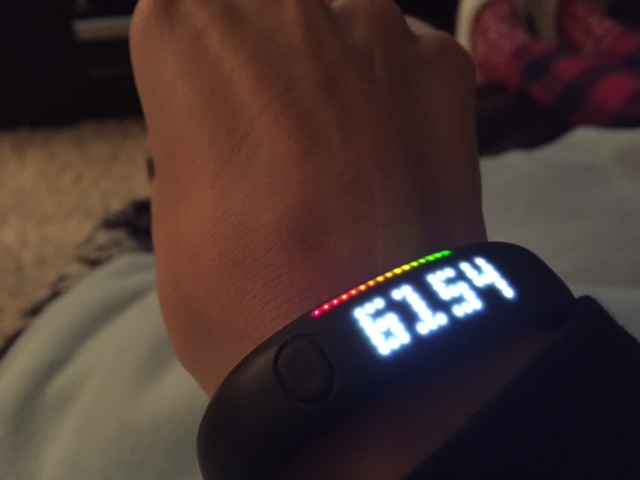 The nike fuel band is an activity tracker, much like a Fit Bit or Jaw Bone, the Nike Fuel Band records you activity and allows you to set daily targets. Activity trackers are meant to be used to motivated you to move, but since I tend to move so much, it can be a good reminder to slow down, or help me to realise if I’m maybe overtraining or in need of some rest. 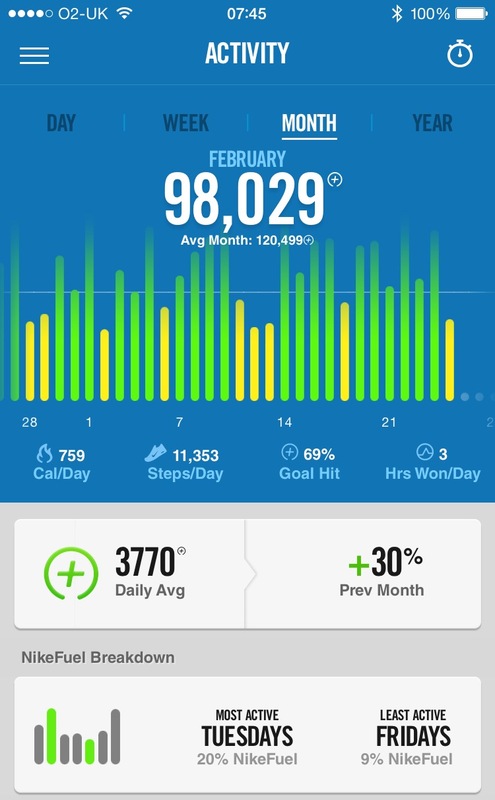 My daily target is set to 3,000 as I find that generally if I exercise (especially running, I’ll rack up 3k easily). A very easy day is 1,000 and maybe a strength workout with not a lot of other activity is about 2.5k of fuel points. See red is hardly any activity, yellow is probably a rest day or strength training and green is active (ie running, walking, stairs etc). So whilst my brother is aiming to get all green on his charts (competitive)… I’m using my chart to also see when I’m ‘inactive’ and most probably resting. You can see from the chart above that I spent a lot of January resting (yellow or red), 6 days at the start, total rest, getting over a bug, then slowly into it again. More greens towards the end and into February. 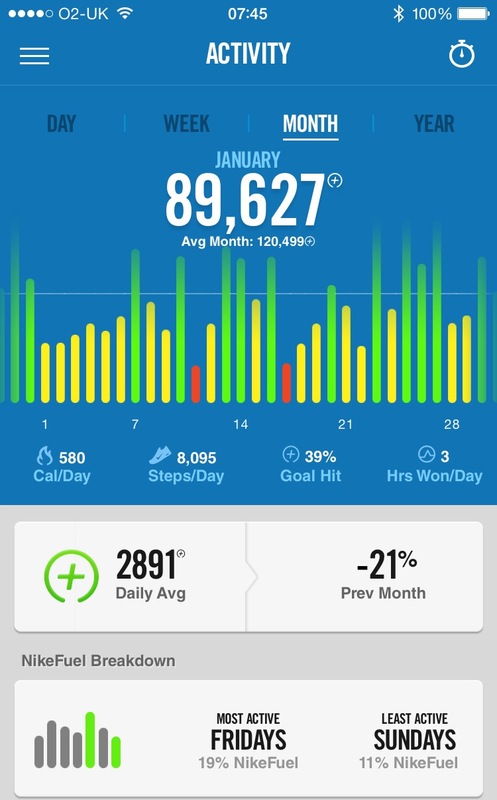 Now February is back on track with around 2 rest days a week (and more activity overall). 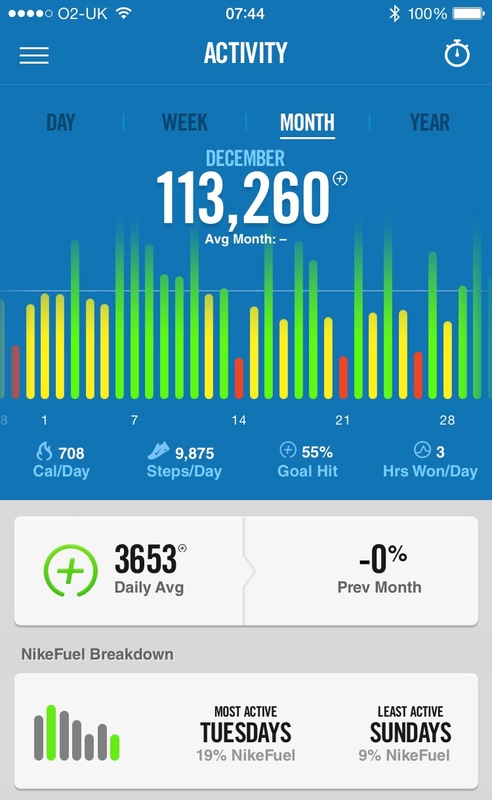 All automatic activity tracking into an app which syncs seamlessly to my iPhone. And if I get enough rest, I’m usually relaxed, able to focus and happy (with no blurry vision etc). Ps: after not getting much sleep last night I called of my easy run this morning (sleep is more important), so today will no doubt be a rest day this week afterall.